Passed away at the age of 88, on July 14, 2018. His wife, Rae, preceded him in death. He is survived by 2 sisters, 7 children, and many grandchildren, and great-grandchildren. 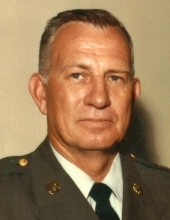 He served in the United States Army during Vietnam, and retired as a Command Sergeant Major. After retiring from the military, he worked as a plumber at JBLM. To send flowers or a remembrance gift to the family of Gordon C. Schulthies, please visit our Tribute Store. "Email Address" would like to share the life celebration of Gordon C. Schulthies. Click on the "link" to go to share a favorite memory or leave a condolence message for the family.